Travel and hotel accommodations are recommended for arrival on Monday morning, July 23rd, with departures Thursday morning, July 26th. Please plan accordingly and allow enough time for transportation to the hotel and onsite event registration. Diversity meetings begin at 1:00p.m. on Monday, July 23rd. Please note, if you are traveling from an International site or from the West Coast, Sunday arrival is permitted. Plan on booking your hotel stay ASAP for check-in Sunday. 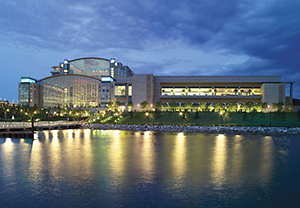 The Gaylord National Resort and Convention Center is sold out. Please make hotel reservations at the Westin Washington National Harbor. Visit Synchrony's Travel page for more information. If you need any assistance with housing for the Symposium, please contact DiversitySymposium@syf.com. 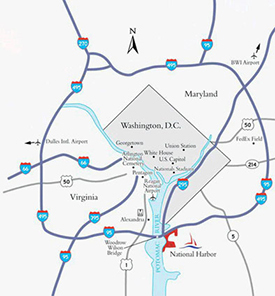 Attendees are recommended to fly in and out of Reagan National Airport (DCA), Dulles International Airport (IAD) or Baltimore-Washington International Airport (BWI). Attendees can also take a train to Union Station in DC. The station is approximately 20 minutes from the Gaylord. Please keep in mind that traffic in the DC area can often be unpredictable so it is best to budget additional time for travel. Located just 12 miles from the Symposium, Washington, D.C. offers an endless list of tours, restaurants and free activities. 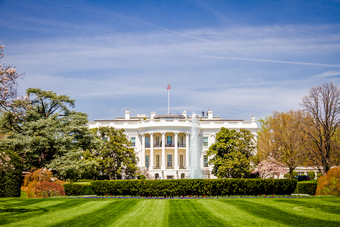 Explore and learn about U.S. history by visiting its many museums and memorials. Taste your way through town by trying out the award-winning restaurants and cuisine. Experience the arts by catching a show at one of DC's many theaters and galleries. Learn more and plan your visit here! 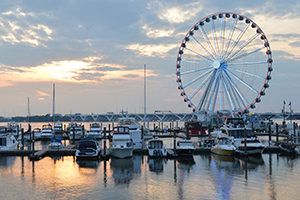 Located on the banks of the Potomac River, National Harbor is a 350-acre resort desination that includes popular shops, restaurants, entertainment, a marina, and The Capital Wheel which offers a panoramic view of Washington, DC. Soar 180 feet above the National Harbor and capture a view of the Washington Monument, National Cathedral, Potomac River waterfront and more. Tickets are approximately $15+tax per person. Learn more about the Wheel and how to purchase tickets here. 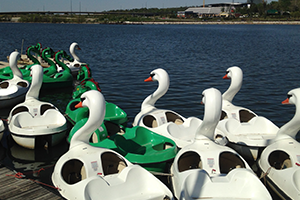 Get a little exercise and explore the Harbor on your own by renting a kayak, paddleboard or pedal boat. Learn more about rates and how to rent here. 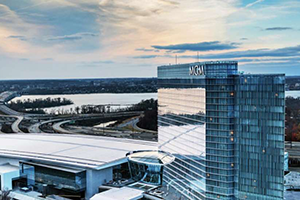 The MGM National Harbor opened in 2016 and is just a short ride from the Gaylord National. The MGM offers an assortment of entertainment including game tables, music and shows. Visit the website here for more details of the upcoming events. Bobby McKey's is the DC area's only Dueling Piano Bar. Live music, improvisational humor and an entertainment experience like no other. Learn more. 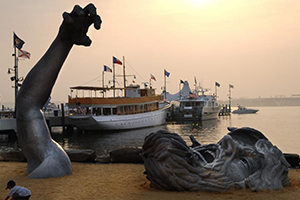 National Harbor has a collection of unique art displays dispersed throughout its neighborhood. Take a self-guided walking tour to check them all out! Learn more here.